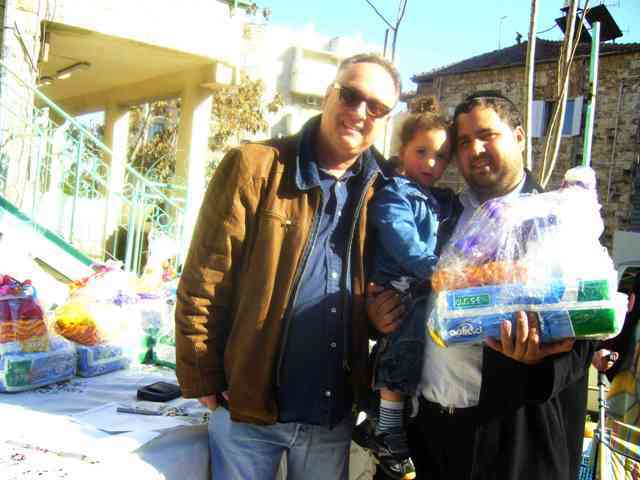 Project Baby to help needy Muslim, Jewish and Christian moms in Israel. Ipads for the disabled Olive trees in commeration and Operation "Cleansweep"
PTWF is keenly aware of the concept of "the Gesture." Mindful of this concept we have used this in almost all of our projects to give something concrete, that one can see and feel, as a means to "pave the way" to positive relations and to open a path to better understanding between the faiths. This is particularly important to children in combating the intentional distortion of religious and prophetic text which has been used as a tool to teach bigotry and hatred. Food is the most basic of human needs, and helping to provide for a newborn baby is a universal gesture of caring. 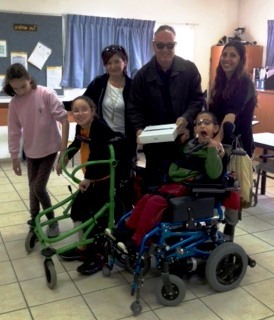 Personally managed through our wonderful advisors in Israel, famed sculptor Sam Philipe and Fr. 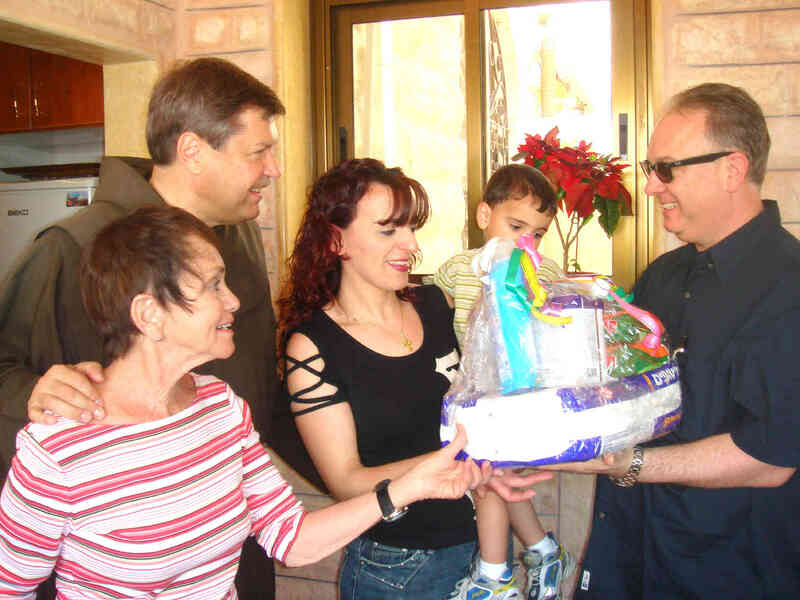 Angelo Ison OFM, PTWF is beginning a project of giving basic baby supplies to welfare moms in Israel. The difference is that our gifts, are not restricted to one group. One third goes to Muslim moms, one third to Christian moms and one third to Jewish moms. We hope to expand this throughout the region. We are told by the welfare department that no one is helping in this critical area of need. PTWF is currently seeking to advance this project by soliciting religious institutions to support the families of other religions. Churches will adopt a Jewish and Muslim family, Synagogues will adopt a Christian and Muslim family and Mosques will adopt a Christian and Jewish family. Each family will receive six- month supply of baby formula and diapers for their child and the supporting institutions will be able to meet the family and engage them if anyone travels to the region. The giving institution will receive a beautiful silver sculpture created by Sam Philipe as a thank you for their participation along with press coverage on our website and with the international media. 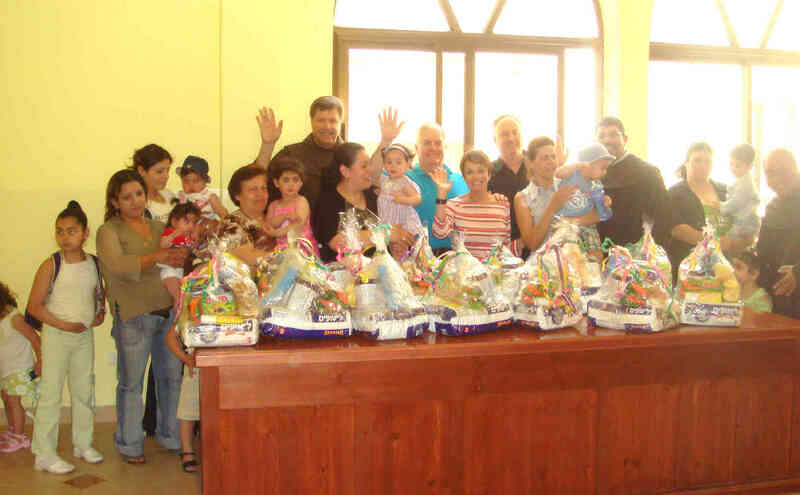 Christian and Muslim moms are given these wonderful gifts of love through the help of Fr. Peter Vasko OFM, President of the Franciscan Foundation of the Holy Land and Fr. Angelo Ison, OFM special advisor to PTWF Jerusalem. This funding came from the Islamic Center of Long Island as a wonderful gesture of good will and peace. 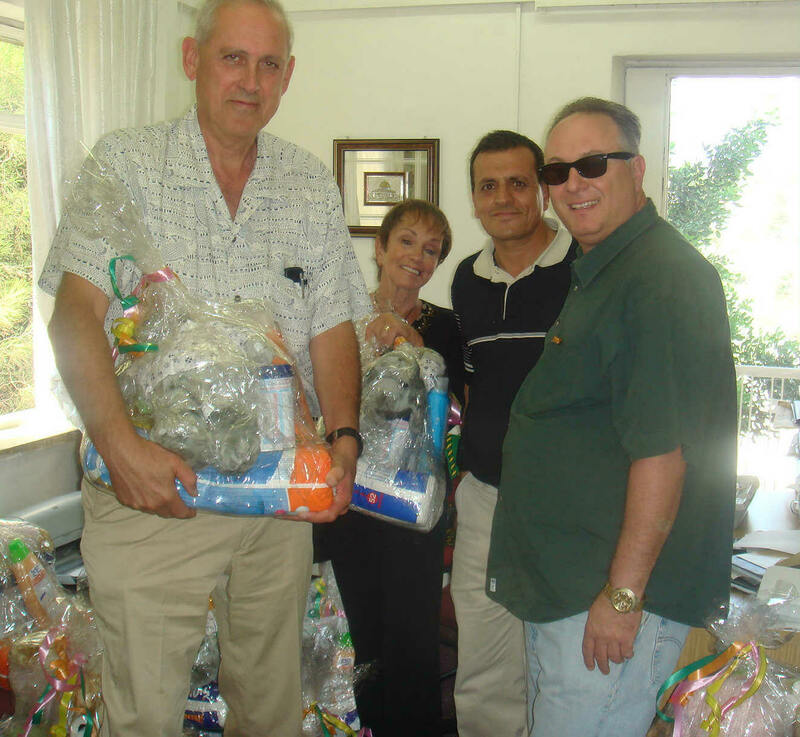 Nick Drexel, Meredith Krupp and Sam Philipe, of PTWF, present some of the gift baskets to Mr. Alian Hamed the director of east Jerusalem welfare center. These are being given to needy Arab moms. One comment was that the moms couldn't believe the thoughtfulness of such a gesture of concern and friendship. Right- Sam is greeted by Jewish recipients. Merry Krupp and Sam Philipe distributes gifts to Jewish moms. The money for these packages came from the Islamic Center of Long Island, New York. "Operation Cleansweep"- PTWF director in Israel Sam Philipe, PTWF advisor Mahmud Ashayer and youth director Abdulla Kisswani in East Jerusalem, initiated operation clean sweep. PTWF is hiring Israeli Palestinian kids from Mt. of Olives to clean the streets in East Jerusalem, which are full of reuse and debris. You are here: Home Projects Charity & Commemoration Project Baby to help needy Muslim, Jewish and Christian moms in Israel. 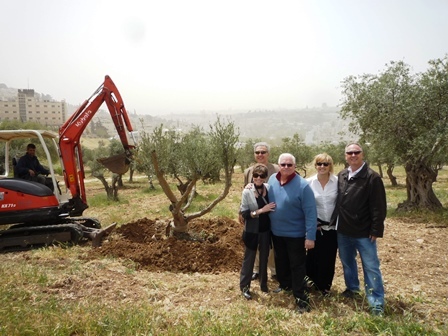 Ipads for the disabled Olive trees in commeration and Operation "Cleansweep"